Accidents are many a times inevitable – but lot depends on safety mechanisms, the measure of rescue efforts and the way they are sought to be avoided and not repeated. Switzerland (Latin: Confoederatio Helvetica, hence its abbreviation CH), is a federal parliamentary republic consisting of 26 cantons, with Bern as the seat of the federal authorities. Switzerland is a landlocked country geographically divided between the Alps, the Swiss Plateau and the Jura. The Country boasts of the highest nominal wealth per adult (financial and non-financial assets) in the world according to Credit Suisse and eighth-highest per capita gross domestic product on the IMF list. It is also the most expensive country in the world to live in, as measured by the price level index. Swiss citizens have the second-highest life expectancy in the world on the UN DESA list. The 26 cantons are the member states of the federal state of Switzerland. Each canton was a fully sovereign state with its own border controls, army and currency from the Treaty of Westphalia (1648) until the establishment of the Swiss federal state in 1848. The name Canton is derived from the French language word canton meaning corner or district (from which the term Cantonment is also derived). The Canton of Graubünden is the largest and easternmost canton of Switzerland. The name which translates as "Grey Leagues"; is the only canton where the Romansh language is still spoken. The canton is entirely mountainous, comprising the highlands of the Rhine and Inn river valleys. It has Swiss National Park as also the part that was declared a geologic UNESCO World Heritage Site, under the name Swiss Tectonic Arena Sardona, in 2008. The mountain ranges in the central area are very deep, some of which are considered the deepest valleys in Europe. 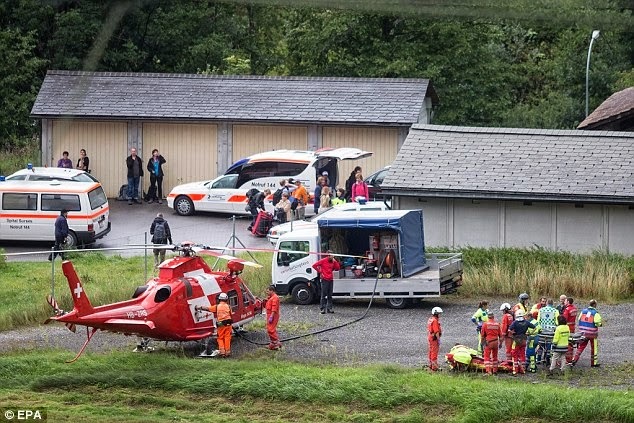 The accident happened in a deep wooded valley between Tiefencastel and Solis, southeast of Zurich in the canton (state) of Graubuenden. Some 200 people were on board at the time of the accident, which followed heavy rain in the region. The injured reportedly were taken to nearby hospitals. Helicopters with an air rescue service helped with the recovery efforts, since the crash site was not close to a road. 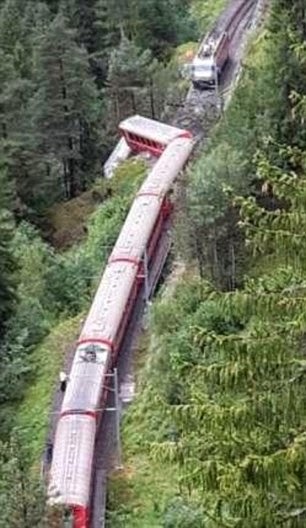 Reports further suggest that by mid-afternoon, everyone had been evacuated from the train cars, with uninjured passengers taken to Tiefencastel and put on buses. The train had set off from the ski resort of St. Moritz on a line that leads north to Chur, Graubuenden's administrative capital. It is operated by Rhaetische Bahn, which runs narrow-gauge routes in Switzerland's mountainous southeastern corner that are popular with tourists. Switzerland's rail system is considered among the safest and most efficient in the world, despite the country's challenging terrain. 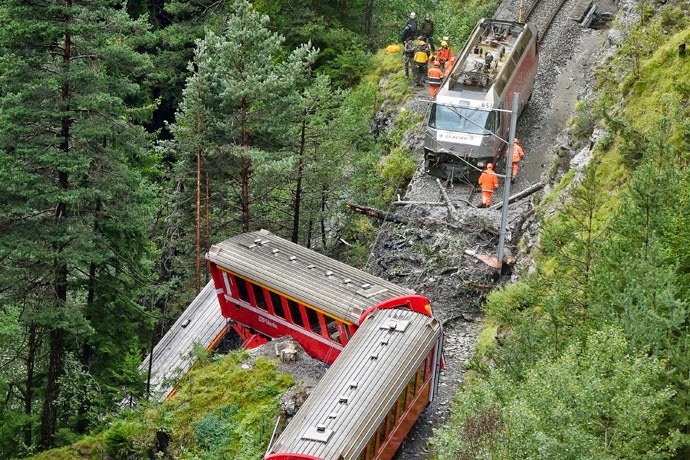 Accidents are rare, although in 2010 the popular Glacier Express tourist train derailed in the Alps in southern Switzerland, killing one person and injuring 42 others.